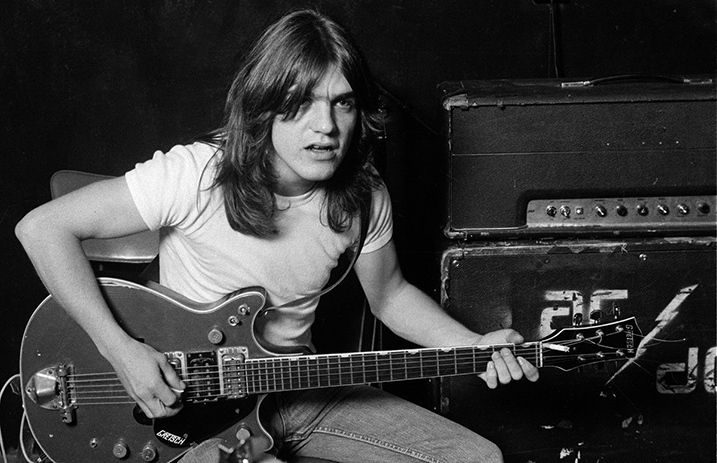 Since the passing of AC/DC guitarist and founding member Malcolm Young back in November, musicians such as Foo Fighters and Queens Of The Stone Age have paid tribute to the late artist through sentimental performances and heartfelt posts. Malcolm's son Ross Young took the opportunity to pay homage to his father by performing with an AC/DC tribute band, singing some of the classic hits co-written by his father. Ross joined AC/DC tribute band THUNDERSTRUCK during their performance at the Epping Hotel in Epping, New South Wales, Australia last month to perform some AC/DC classics in memory of his late father. You can watch the fan-filmed footage of the performance, below. Young was in AC/DC from 1973 until retiring permanently in 2014, after being diagnosed with dementia. He died on November 19, 2017 at the age of 64. Following his death, AC/DC found a notable resurgence on the Billboard rock charts, with six entries landing on the Hot Rock Songs chart. Young was a songwriter, guitarist and performer that inspired so many from our scene. His legacy will continue to inspire many for years to come.